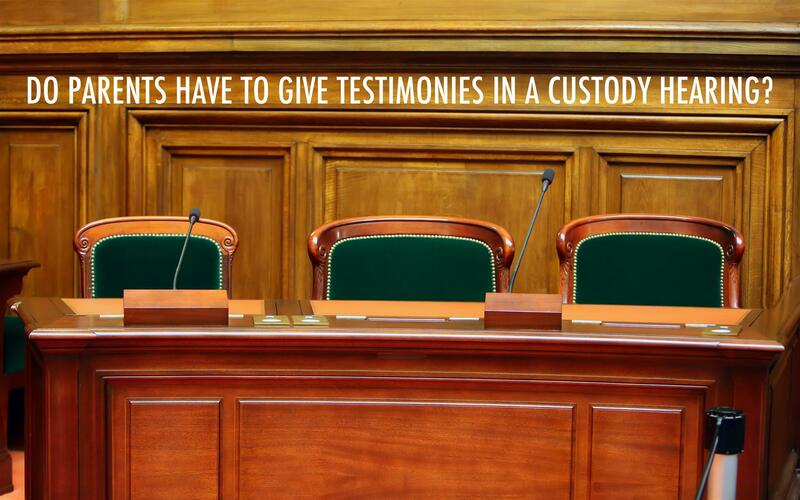 Home Family Law Do Parents Have to Give Testimonies in a Custody Hearing? A custody battle is a heart-wrenching and stressful process that can take a toll on any parent mentally and physically. When entering any custody hearing the main focus of the court is, what will be in the best interest of the child or children who the case is revolved around. As you may know there is no jury in a civil custody case, but these cases do call for each parent to give a testimony of some sort. Each parent must give an account of why it would be more beneficial for the child(ren) to take residence with them versus the other parent. Many timesharing/custody cases where both parents are positively involved in the child’s life end in a 50/50 split, with the child taking residence with the parent whom the judge feels will be the one that will ensure the child has a good balance between them both. Judges look at which parent may argue more and get defensive or upset more while the hearing is going on, and they take that into consideration when making their decisions. Every case is different, one should never anticipate their outcome solely based on the outcome of another. It is best to be civil with the other party and keep the best interest of your child in mind.